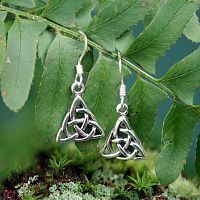 - You can count on these beautiful triquetra earrings to be the perfect accent for any outfit, whether you're dressed in a business suit, a wedding gown, or a robe and cloak. Polished sterling silver gleams like captured moonlight. 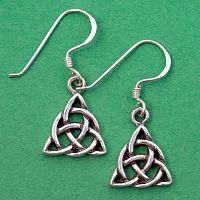 Design measures approximately 1/2" tall, with an overall length of 1" including the French hook. 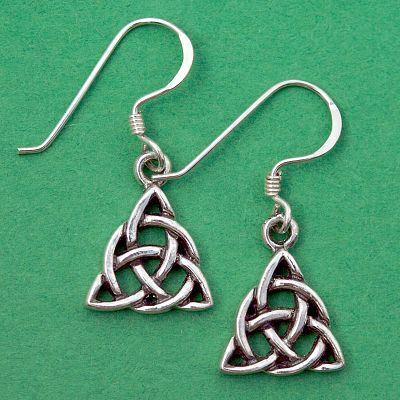 Do you have any other questions about our Silver Mini Triquetra Earrings?